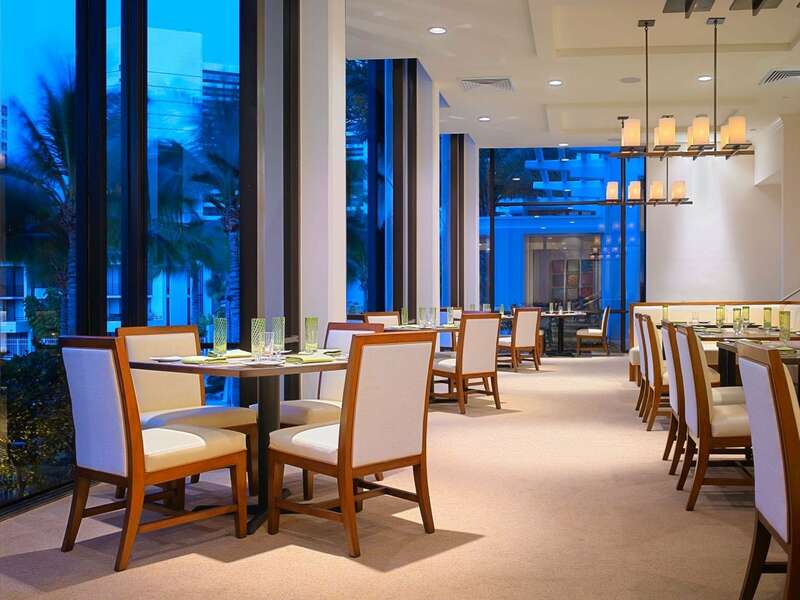 Immerse yourself in the warm ambiance of our waterfront Sarasota restaurant overlooking the Bay. 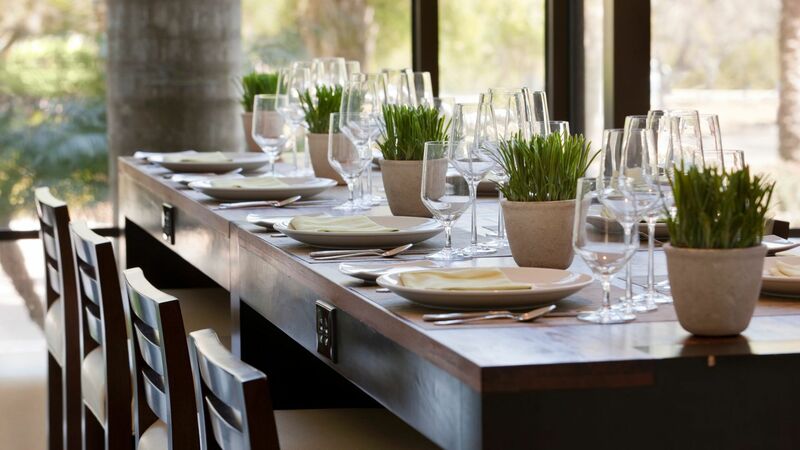 Mingle with others at the community table or cozy up in “library” space where you’ll enjoy regional favorites locally sourced and thoughtfully prepared and served. Discover our chic waterfront restaurant in Sarasota overlooking the bay. Choose from two unique levels of dining areas that offer breathtaking harbor views and admire the sleek contemporary décor enhanced by a wall of gorgeous floor-to-ceiling windows. Gather at the community table where you can mingle with fellow diners or choose an intimate spot for two by the windows. Enjoy the soft glow and warm atmosphere created by our new custom-designed chandeliers as you savor an exceptional breakfast, lunch or dinner menu. Lounge comfortably while you enjoy the pleasures of attentive service and our luxurious Sarasota waterfront lounge. Tropical cocktails and light fare will be delivered right to your chair by our helpful Hurricane Hut staff. 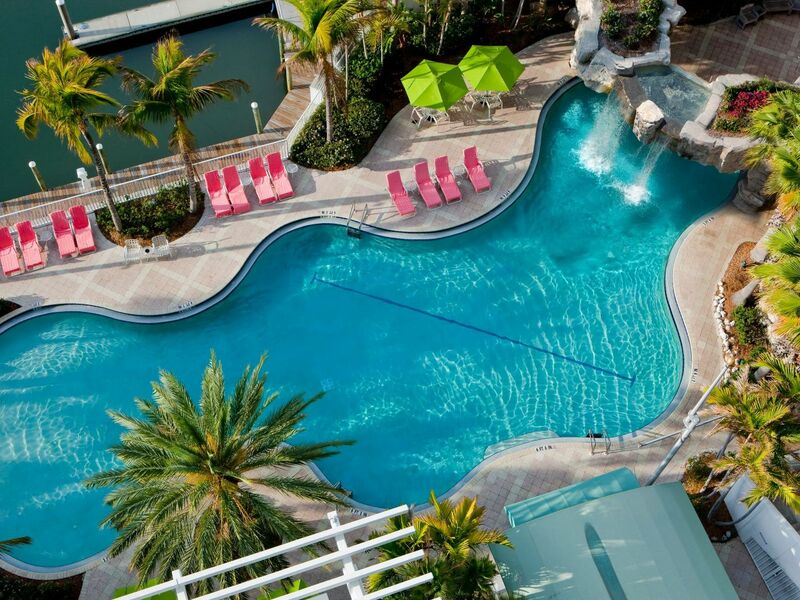 Indulge in the tranquil, one-of-a-kind experience offered by our lagoon pool and beautiful sundeck. Food and drinks taste so much better when you’re in such an entrancing setting. 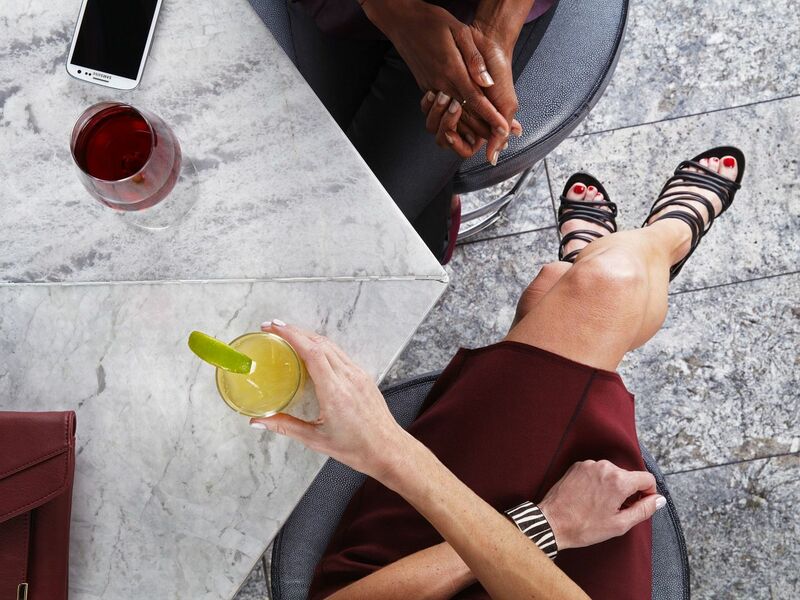 Sink into comfortable lounge seating with sorbet-colored cushions surrounding the bar and flowing into the lobby space – it’s the ideal spot for both dining and socializing. Stroll across the Italian porcelain of the atrium lobby, highlighted by teak panelling and vibrant artwork especially commissioned for the hotel.